You are here: Home » Why is the Interior Design CGI chosen by many design agencies? Conclusion and key points on Why is the Interior Design CGI chosen by many design agencies? To start this topic correctly, we should answer the question, why CGI for Interior Design is a primary tool of the interior design business? As the Interior Design is one of the most competitive industries regarding talent, definitely takes the agencies an entirely different gap to get their portfolio and business noticed online. CGI Interior Design or also known as Interior Design Visualisation is one of the ways, to get where you want to be, in front of the new potential client. Visualising interiors is not only a crucial part of every design presentation and client pitch. Having a portfolio of all work-in-process with interiors as CGI images give you an additional tool to showcase how best you are. The statistic shows that 80 per cent of the people on the planet earth cannot interpret good enough visually ideas. Having CGI images and 3D model of your future design ideas is an easy way to explain and translate in visual all plans for the future design project and can be quickly turned to a marketing lever. How effective is your marketing is up to you, how creative and skilful you are. Is proven that online marketing brings three times more leads than traditional marketing and five times more conversions than businesses who don’t use this approach. There are different tactics with which your online marketing strategy can be implemented and drive you to prosperous business horizons. Next, I will lay three of the primary ways where Interior Design CGI images become tools that are used by many of our customers for their portfolio marketing strategies and pitching proposals. Interior designers are not only expected to make the spaces look good, but they are also responsible for making sure they meet various building codes and architectural specifications placed by the local council, region or the country. They may sketch out the plans, chose the materials, furnishings and decorations, and then if they signed the contract for full service, to oversee the installation and the building processes. So far so good, but what are the steps that have to be taken to sign the supervision contract? Let me guide you through the journey of one interior design CGI project and how 3D visualisations can be implemented successfully since the beginning of a project. Let’s imagine the following scenario, the designer’s client has just already signed a contract for interior design service, and the work is just about to start. Before the actual work to start, someone has to take a handful of photos or footage of the actual state of the interior where the project is going to happen, alongside with measurements has to be considered. Old-school designers use hand sketches on paper and large rolls of architectural tracing paper to draw up their ideas. This process is something like a creative brainstorming for them and a possible way to show at an early stage what are their thoughts to their customer. Since computers now dominate the design and architectural production process, most modern designers rely on a variety of CAD software programs to continue their preliminary sketches with high precision. CAD is used for all plans needed by architects, furniture makers and other providers on the design. During the whole process, several client meetings are made where the designer has to show most of the chosen ideas and layouts, which are requested for approval by their clients. They can be with textures (materials) or without textures, depending on the stage that the project is. With this method, the designer can convey in the best possible way their ideas about the space. The client sees it with volume, light and some basic ideas of materials. There are no specific details yet, as this is an early stage of the project. 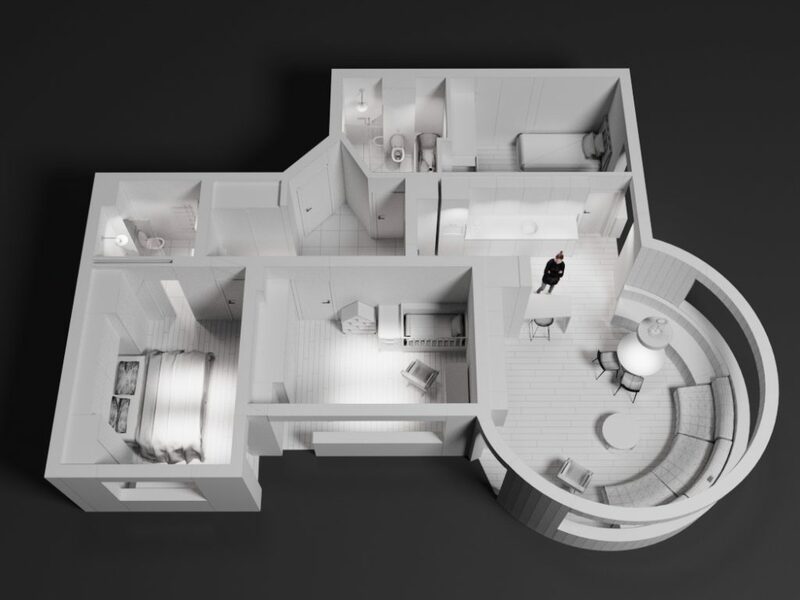 The idea of the 3D floor plans is to cut the time needed for the client to understand how their space is to be changed. Often these floor plans are made with Sketch Up, Home Designer, Sweet Home 3D, Room Sketcher or other appropriate software. For our work-flow, we use Sketch Up as gives us the needed flexibility to produce on time the requested floor plans. After the approval of the 3D floor plan, the designers can continue to the next more detailed phase of the project. At that phase of the project, the client is aware and expecting to see more details, materials and more specific information about the project. This is the stage where the material, mood boards and colour swatches come in hand alongside interior design visualisations. This stage brings in front of the details of the furniture, light fixtures, how the light affects the space, how the colours interact with the materials and light. 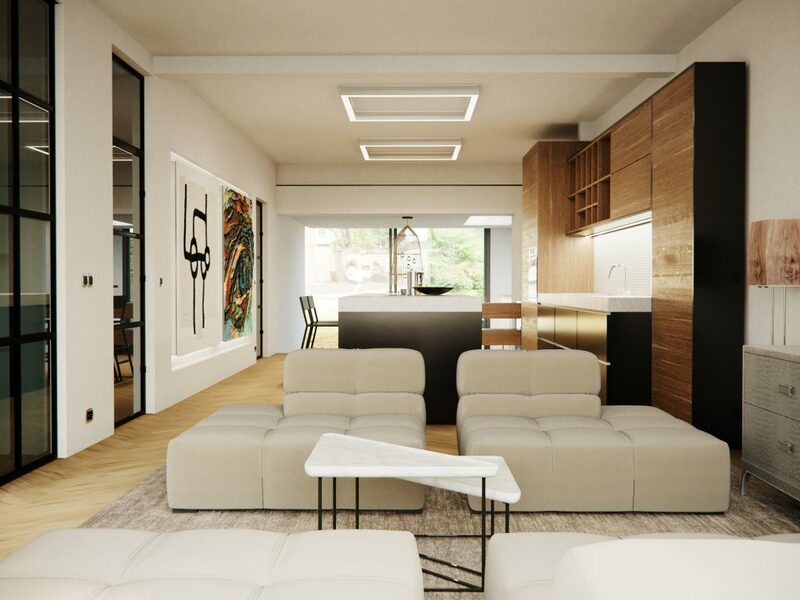 At this stage, the Interior design CGI’s is one of the best available tools today, that is possible to convey precisely what the designer wants. Specific choices for the paint, furniture fabrics and wallpaper are made between you and your client with ease. The furniture material is easy to be changed, as in 3D almost everything can be done without much preparation. Using 3D visualisation method can provide multiple choices and scenarios of furniture, colours and lights. Everything is even more accessible today, as almost all furniture stores, paint and fabric manufacturers, ceramic tile companies and appliance factories provide with 3D models or samples where they can be used for the project. It is important to mention that the software we use in our Interior 3D visualisation workflow is capable of producing the exact true colours, shapes and light interaction as it would be in real life. 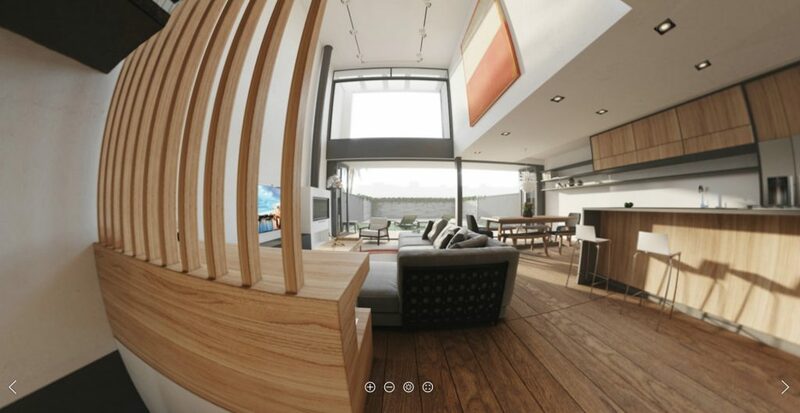 Another useful lever in the range of 3D services for an interior designer is 360 panoramic visualisations. These types of visualisation are 360-degree scroll-able and zoom-able panoramas of the interior design CGI project. It is easy to convert to them when the project is already designed in 3D. As well as the static 3D interior visualisations, here we could change everything we want for the sake of the project. Furniture, light fixtures, carpets, materials, even if it’s needed the panoramic project can be interactive, where the client can click on a different set point to read/view specific information or to move around the space in different rooms or locations. Imagine giving the opportunity to your client to explore their project in details, to interact with it. With the recent updates on our work-flow, our Virtual Reality tours are with increased functionality. Here you can click on the image below to see an example of 360 Panoramic visualisations what we made for our client. This one is the fourth tool to be chosen by our interior design partners. It is a powerful tool similar to a movie. According to Wikipedia “3D animation is the process used for generating animated images”. The video below is an example of the work in process project, where a decision has to be made from the client. As one Interior design project is already built in 3D, it’s easy to be animated and used especially useful for marketing purposes. In our lives today we interact and watch with at least five videos on a daily base according to recent research. Videos have become an inseparable part of our social lives. This makes the 3D animations a valuable tool for interior design promotions and pitching good ideas. As you can see, the 3D interior design visualisations give an opportunity and freedom to the designer to handle their projects with ease are pre-design phases. The 3D rendered images are called computer generated images (CGI) and can be used not for the design process but as well as marketing tools as I mentioned already. They are easy to integrate into every website or social profile, they can be printed in high-resolution formats (1080p or even 4K) and used for gallery exhibitions or put in a frame in the designer’s office. This service is often outsourced to an external architectural visualisation company as can be cost-effective for the interior design business and be treated as an expense to the business, alongside all positives that bring with it. Interior design visualisations can be so photo-real, they are not easy to distinguish from real photos, and this can turn as one of the most powerful marketing weapons for interior designers. Key points:Why is the Interior Design CGI chosen by many design agencies? Interior Design is one of the most competitive industries regarding talent and takes the agencies an entirely different effort to get their portfolio and business noticed online. CGI Interior Design can be used for pre-design phases. 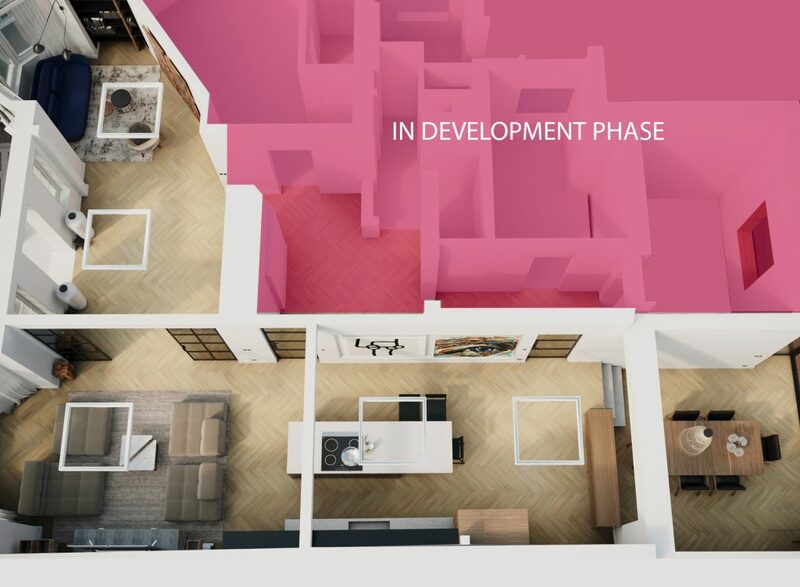 A pre-design stage is a convenient step for end-clients as they can understand better the layout and have a general sense about the volumes of the space. There are four main types of Interior Design CGI tools. Using 3D visualisation designers can provide multiple choices and scenarios of furniture, colours, lights and even layouts. Have questions about our service: Architectural visualisation or need advice with your Interior Design project?